Vsevolod is using Smore newsletters to spread the word online. Strip mining- when the rock and soil that's on top of the layer or seam followed by the minerals being removed from the Earth. It affects the environment because when all the vegetation is removed the air quality is effected because the plants are no longer there to produce clean oxygen and take in the carbon dioxide it releases. The removal of soil causes less wildlife, and when the environment tries to regrow it is usually unable to succeed in the effort because of all the damage caused. Open pit mining- a cut made at the surface of the ground for the purpose of removing ore. It affects the environment because making it hard for plants to grow normally, due to uneven land. Mountain top mining- the mining of the summit or summit ridge of a mountain this effects the environment because the dust from the explosions may settle into private property and it can contain sulfur compounds which eats away structures and is a health hazard. 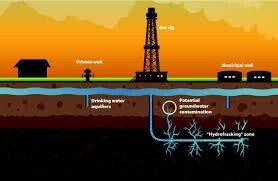 Subsurface mining is when minerals and resources are removed in various ways from beneath the earths surface. The process of drilling down into the earth before a high- pressure water mixture is directed at the rock to release the gas inside.